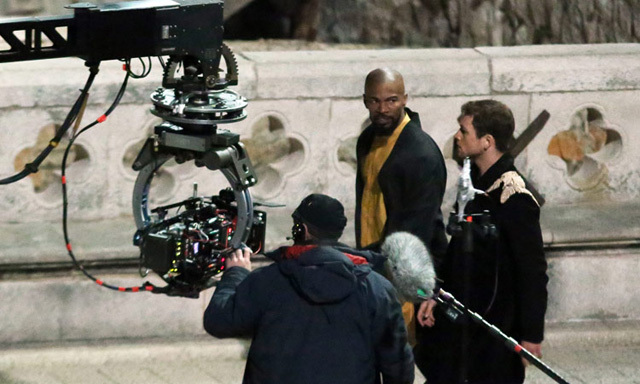 Filming continues on Lionsgate‘s upcoming Robin Hood movie in Dubrovnik, Croatia and we’ve received more photos from the set via The Dubrovnik Times. 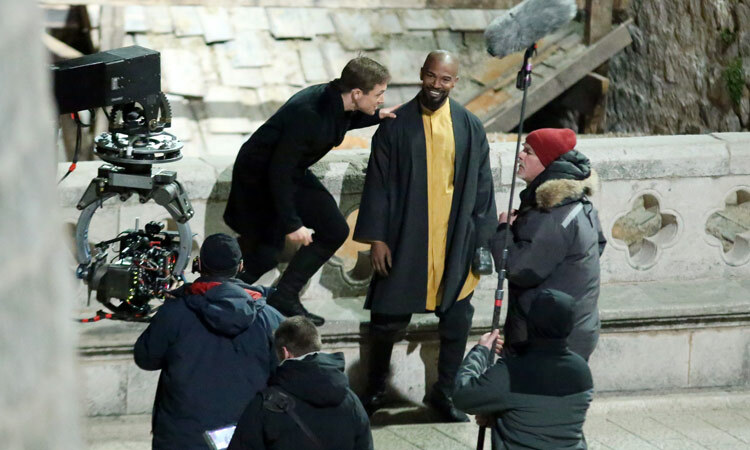 You can view the Robin Hood pictures, featuring Taron Egerton and Jamie Foxx, in the gallery below. The cast for the new Robin Hood includes Taron Egerton (Kingsman: The Secret Service, Eddie the Eagle) as the title hero, with Jamie Foxx (Django Unchained, Ray) as Little John, Jamie Dornan (Fifty Shades of Grey) as Will Scarlet, Eve Hewson (Bridge of Spies) as Maid Marion, Tim Minchin (Californication) as Friar Tuck, and Paul Anderson (Peaky Blinders, The Revenant) in an undisclosed role. Bathurst directs from a screenplay by Joby Harold. Robin Hood is produced by Leonardo DiCaprio, Jennifer Davisson Killoran, Basil Iwanyk, Tory Tunnell and Joby Harold. It will arrive in theaters on March 23, 2018.